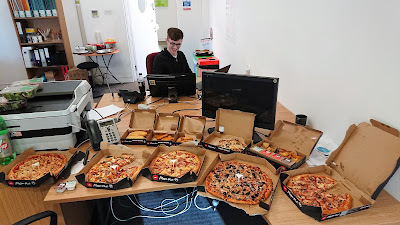 Our support apprentice Oliver enjoyed his last day at Start on Friday with pile of Pizza Hut pizza! We'll all miss Oliver and wish him well for the future. Do remember that we offer 24x7 unlimited personal support here at Start Software - follow this link to see how to contact us.